The teachings or ‘ancient wisdom’ of the Orang Asli are usually transmitted through storytelling, mythmaking, or via ritual and symbolic art. Assembled by past generations and passed down to its present inheritors, Orang Asli oral tradition, in particular, is multi-functional, varied and invariably extensive and exclusive. It is used to amuse, to teach, to record, to remind and to explain. That is to say, the Orang Asli create stories and narratives not only to make sense of the world but to impart important social and ethical mores to ensure community living and continuity. 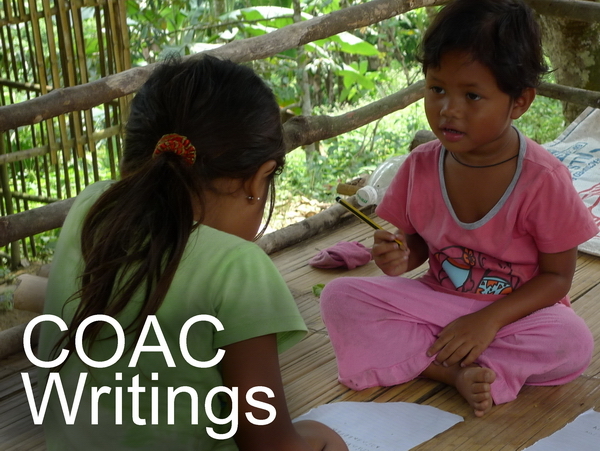 In essence, Orang Asli oral tradition would include: myths about their view of the world and its genesis; heroic accounts of revered personalities (whether real or fictitious); a catalogue of do’s and don’ts to ensure the desired social behaviour; an encyclopaedia of knowledge and information necessary for successful utilization of the natural resources; yarns and tales to amuse, entertain and educate; and accounts of personal experiences of the elders and of those who came earlier. 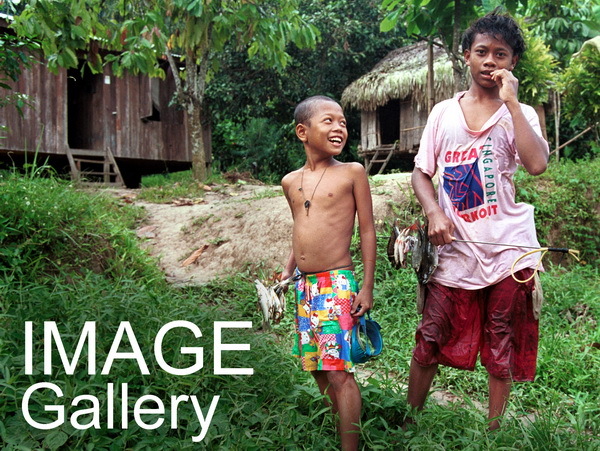 Their themes, rhythms, style and narrative structures are unique to each particular Orang Asli group, as they are to the purpose or function of the oral tradition. On occasion, it is not uncommon for outside listeners of these oral traditions to confuse one function for the other, and sometimes treat a part of oral tradition meant to amuse, for example, as being a part of the community’s spiritual worldview. Nevertheless, irregardless of its function, all Orang Asli oral tradition is based on close observation and understanding of the environment and a belief in the influence of the spirit world. Orang Asli oral tradition therefore represents a repository – and the means of transmission – of generations of wisdom about the environment. The loss of such traditional knowledge will surely have an effect on the destruction of natural ecosystems. Moreover, since Orang Asli oral tradition is exercised via the indigenous language, its maintenance will ensure that Orang Asli linguistic and, it follows, Orang Asli cultural identity will be upheld. Orang Asli oral tradition is more than mere matter-of-fact information or record. It is, more accurately, collective knowledge. Such collective knowledge invariably translates into the culture of a people. This culture, as Varese (1988: 66) states, is its production, its objects, its works, the specific mode in which they are used, and the style contained in the work from the very moment of its production. The communication of this matrix of cultural complexes among the members of a community is seen as the very core of a people’s consciousness. As such, it can be argued that Orang Asli collective knowledge, as contained in their oral tradition, is the foundation on which members obtain their sense of community, personal identity, and ancestral anchorage (cf. Greaves 1996: 26). 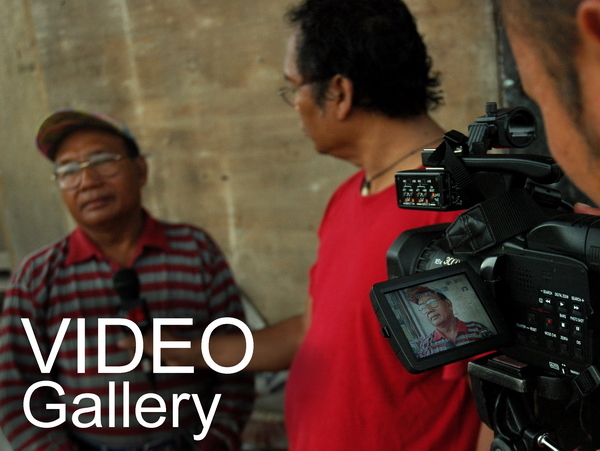 In particular, the legends of an Orang Asli community – invariably recorded orally – link its people with a particular place and a particular culture and, it follows, a particular identity. This is because Orang Asli cultures are derived from the specific ecological niche in which the community resides in, intimately intertwining the place with the people. Thus, just as for their material and spiritual culture, the oral traditions of the Orang Asli are also linked to this particular geographical space. However, while legends and myths of genesis and superheroes (like those of the stories of the Semai mythical hero, Bah Lujh, or those on the origin of humankind) are common among the members of the same ethnic group, those of place are exclusive to specific communities. For example, the Semai in the hamlet of Baretchi in Ulu Telom, Perak have this little tale to tell of how its name came about. According to the elders Atok Balu, Bah Risan and Bah Pagar, there was once an old couple living there who were frequently annoyed by the noise and antics of the many children. The old man then decided to frighten them away from his abode for good. He attached two large winnowing trays (nyumpil) to his ears and placed a large rattan back-basket (ragak) on his head. For added effect, he held a length of forest vine (akar) to his nose. When the boisterous children came to his house again, he jumped up from behind the bushes, pretending to be an elephant. However, the prank backfired on him, and he himself turned into a rock in the shape of an elephant. This rock is still there to this day. This is why the place is called Baretchi, which means “elephant’s flatland”. The world as we know it today has gone through three stages. The first, zaman jadiq, was pure chaos because all creatures had the power to turn each other into stone. And they were doing this. Soon there was no one left as all had been turned into stone. In the second era, zaman halak, the moon had crashed to the earth and there was darkness for eight days. No plant life could survive and so animals and humans died until there were only three humans left. One of them eventually propped up the moon using the trunk of the beringin tree. That is why the moon’s surface looks very much like the bark of this tree. By the time of the third era, zaman nyenang, only two of the three remaining humans were alive, one male and one female. They did the male-female thing and caused the earth to be populated again. When the time came for the first couple to leave this earthly world, they turned themselves into stone. This is now the Lerng Skii, the rock outcrop with their likeness at the source of the Tidong River in the neighbouring Semai village. These two examples illustrate how legends in the oral tradition of the Orang Asli are about specific places and geographical features that are unique to particular communities. The ability to associate an oral tradition to existing natural or geographical features is often accepted as contributive evidence of their primal presence in that area. Latent in this tradition is the acknowledgement by one community of the other’s traditional territory (by virtue of the other community having their own origin stories of local features). The Orang Asli claim to primal presence on the land can also be gathered from oral traditions that speak of how various places came to be named. They often extend beyond their own traditional territory and encompass those of others of their own ethnic group. One such example is the following legend from a woman elder from the Batang Padang district of Perak but whose narrative includes places in other districts and even in the next state of Pahang, all traditional homelands of the Semai people. Seven brothers from different settlements arranged to go hunting one day. “When are we going?” asked one of them. They discussed this and finally agreed to set out three days ahead. They were to meet at the 3-point junction, but whoever arrived there first was to wait for the rest. They then went back to their respective homes and told their wives and set about preparing their gear, as well as stocking food such as rice, millet, salt and cassava. On the agreed day, one of the brothers was so excited about the hunting expedition that he set out for the meeting place at first daybreak. Not surprisingly, on reaching the spot, the others had yet to arrive. He looked up the path and down the path, and still there was no sign of his brothers. He waited until the sun was already bright in the sky and still there was no sign of them. Then he decided to go on ahead at a slow pace. He did so, frequently looking back to see if his brothers had arrived. When he was tired, he waited for a while and then continued on his journey. Eventually he reached the hut that they always stayed in when they were away in the forest on long treks. The place was rather run-down. Anyway, he started the fire and began to think of what to do. He decided to cook some rice as he was hungry and went to collect some water and firewood. By the time he had cooked the rice it was past midday and still his brothers had not yet turned up. He decided to eat by himself. After eating, he sat down and wondered why his brothers had not arrived. Soon the sun was going to set, and if they did not turn up, he was worried that he would be subject to sernlog (a Semai concept where one party suffers the consequences as a result of the breaking of an agreement or arrangement). Out of anxiety, he began to shut the door and windows tightly, securing them with wooden staves. When he put out the flame of his resin-torch, it was immediately dark inside. Soon thereafter, he heard the voices of his six brothers. Slowly he peeked out of the hut and saw what looked like the light of six resin-torches. But as they approached the hut, there remained only five lights. And as they came even nearer, only four remained. Eventually only two lights remained, and it was now obvious to him that these were the eyes of a tiger and not the flames of his brothers’ torches. Without wasting any more time, he got hold of some old cloth in the hut, wrapped himself tightly with it and remained standing. The tiger was still at the doorstep and was still calling out to him to open the door, which was securely shut with a wooden stave. He kept silent in his wrapped-up state. The tiger became impatient and said in its animal language, “Oh. You don’t want to open the door, yes?” Then it proceeded to claw and pound at the door, which soon gave way, and the tiger entered the hut. “Oh … I see you have wrapped yourself up in cloth,” exclaimed the tiger. Then it bit at the bundle and dragged it out of the hut, with its human prey still wrapped up in it. The tiger then began to think about which river to bring its prey to in order to make a meal out of it. The tiger brought its bundled meal to a number of rivers, revealing the names of these rivers at each stop. The Semai victim paid attention to all the names but remained silent all the time. At each river, the tiger would change its mind about having his meal there for one reason or another. At the Cerhuh River, he decided not to have his meal there as his stomach was kerhug (feverish). This went on for the whole day – the tiger went from river to river, carrying his bundled victim in its strong jaws, looking for a suitable spot to eat his meal. When the tiger came to the Sungkai River it realised that this was not a good spot as the water could cause its stomach to foam (sungkei). And so it was for seven days and seven nights; the tiger went all over the land looking for a suitable river. There was the Lipis River (which means good fortune and plentiful prey) but then he was not in need of prey. The Bil River was also not suitable as its water would make the tiger’s stomach empty and noisy. At each stop, it would say the name of the river loudly as well as the reason why it was not suitable. The bundled Semai heard and made it a point to remember all this. The tiger then decided to forego the bigger rivers and make do with a smaller stream. So it went with its victim to the Jurong River (Cenong) but the tiger was afraid that the stream would swallow it up, if it ate its meal there. The same too with the Piong River (yeok) – the tiger would surely fall into the stream and be swallowed by it. At the Geltig River, others would hear its growl and want to join in the meal. The tiger then went back to the Behrang River (which meant “the head, legs and hands all are to be singed or lightly burned”) but then decided to go up the ridge and have his meal there. “Ah … this is the best place to dine,” said the tiger, placing the bundled meal on a ridge, under a breadfruit tree (sereg). So as soon as the tiger went away, he quickly unbundled himself, and re-tied the bundle. He saw a rattan vine (chong barok - the strong rattan used for making big traps) creeping up the sereg tree. He cut the base of the rattan vine and proceeded to climb to the top of the sereg tree. On reaching the top, he pulled up the rattan vine. Not long after, he heard the growl of the tiger returning from the stream. It headed straight for the bundle and swiftly lunged at it. It soon realized that its prey had escaped. “Ciss!” said the tiger, “looks like I have lost my meal.” It sniffed the air but couldn’t locate its prey. “Where can he be?” wondered the tiger. “Only if you can get me,” said the Semai man. The tiger circled the tree, growling, and trying to find a leg-hold to climb it. Each time it tried to climb, it only reached halfway before it fell to the ground. “Aah … if this is the case, better for me to die or to eat peat only,” said the tiger, conceding defeat. “So now you know my territory and all the names of the rivers,” the tiger told the lost meal, as he made his away from the tree, never to return again. The Semai man stayed on the tree for seven days and seven nights, fearful that the tiger might still be lurking around. On the seventh day, he saw some villagers heading towards the tree with the aim of plucking the sereg fruit. When they came to the tree, they wondered as to how they were to climb it. They looked around and saw the cut rattan vine hanging from the top. “I was the one who cut the vine,” the voice from above said. “Why are you hiding up the tree?” they asked him. “Oh, so you know the names of all the rivers?” they asked him. “So, are you human?” they asked him. “Yes, we are,” they replied. “If so, then I will let down the rattan vine,” he said. As soon as the vine was within reach, the village people climbed the tree and began to pluck the sereg fruits. When done, they came down with the Semai man and proceeded to the village. So, as a result of this adventure, everyone got to know the names of the rivers, as told by the tiger. As in the legend above, many common place-names in the peninsula have Orang Asli origins or Orang Asli contexts. Examples include: Jelebu, Kenaboi, Paroi, Dengkil, Choh, Ipoh, Sungei Lui, Linggiu, Jelai, Betau, Ijok, Bekok, Kroh, Woh, Telom, Pangsoon, Sungei Ruil, Sungkai and Sahom. Sometimes the original Orang Asli name is translated into Malay and the place is then referred to by its Malay name. For example, the village of Teio Tarok in Tanjung Malim is now called Kampung Sungei Lembing (teio being the Semai term for river and tarok for ‘lembing’ or spear). Unfortunately, this appears to be the fate of many Orang Asli place-names in the peninsula. Thus, in the absence of documented versions of the Orang Asli place-names, it becomes increasingly more difficult for the Orang Asli to assert their primal presence in these places. However, sometimes even having the oral tradition of the Orang Asli duly documented is no guarantee that such traditions will remain in the hands of the Orang Asli. Their oral tradition can be appropriated by another community or party, often with important implications to the community’s culture or claim to first presence in the area. This happens because legends, being part of the oral tradition of the community, constitute collective knowledge and as such belong to the community. Those who wish to use it owe nothing to those from whom it was learned, other than perhaps an obligation that this ethos be in turn observed. Unfortunately, precisely because such knowledge is regarded as being in the ‘public domain’, little protection by way of intellectual property rights is accorded to it, making it easy for such knowledge to fall into the ‘private domain’. The appropriation by large pharmaceutical corporations of indigenous local knowledge to exploit biomedical resources from the natural environment is perhaps the best example of this situation. Nevertheless, I argue that in some cases the appropriation of a community’s knowledge can be effected without needing to convert the knowledge into the private domain. Orang Asli oral tradition can pass from one public domain to another, without financial or material benefit for the appropriating party. Yet this can have devastating consequences for the Orang Asli community’s claim to its birthplace and identity. Si Tenggang – Orang Asli or Malay? The fate of the Orang Asli legend of Si Tenggang best illustrates my contention. The story, in brief, as it was told in school texts in the 1960s (Abdul Samad Ahmad, 1955) is that of a poor Orang Asli boy, Tenggang, who joined a trading ship to improve his economic position. After a few years, he achieved success, married a Malay princess, and became the captain of a huge ocean-going ship, forgetting his humble roots in the process. One day, in order to take shelter from an impending storm, his ship happened to berth near his birthplace. His ageing parents recognised him from a distance and rowed out to him in a dug-out canoe, carrying gifts of fruit. They called out to their long lost son. Tenggang recognised them but was too embarrassed, in front of his royal wife, to acknowledge the dirty duo in loin-cloth as his parents. The elderly couple was extremely depressed by this denial, and placed a curse on their unfilial son. The story goes on to describe how, in the ensuing storm, the ship capsized and was transformed into rock. The cabins of the ship then became the caverns of what is now known as Batu Caves, a popular tourist attraction just north of Kuala Lumpur. Nevertheless, the story as it stands has important implications for the Orang Asli, not the least of which being that the story is but part of the vast body of oral tradition identified with the particular Orang Asli group – the Temuan – living around Batu Caves. Such clear references in the legend to the presence of Orang Asli living near the caves since mythical times also add testimony to their claim of being the original inhabitants of the area. In any case, the legend contributes to the cultural complexity that gives the community its social identity. Later, in perhaps an attempt to firmly establish the ‘Malay context’ of the story, it was made into a television drama and aired over the national channel (RTM1, 22 May 1997). The casting, the costumes, the dialogue – all left no doubt that it was a Malay story about a Malay event. Other Orang Asli stories, legends and myths have similarly been victims of this sort of expropriation. For example, the many animal stories in which the tiny mousedeer, Sang Kancil, is featured as a clever animal able to outwit the bigger beasts in the forest are now commonly perceived to be Malay stories. Even stories about Pak Pandin, the comic fool that is the subject of many Jakun stories. The disjunction between indigenous (customary) laws and mainstream law has, in many cases, resulted in the exploitation of indigenous cultural and intellectual property without proper consultation, acknowledgement or compensation to its cultural and communal owners. Nevertheless, current draft international legal provisions suggest that such ‘prejudicial actions’ as in the case of the Si Tenggang story may be subject to criminal sanctions as they fail to indicate the ethnic and geographical source of an expression of folklore in printed publications and other communications in public. Unauthorised utilisation of an expression of folklore, or deliberately deceiving the public about the ethnic source of a production, are also grounds for criminal action, as is any kind of public use which distorts the production in a manner ‘prejudicial to cultural interests of the community concerned’ (UNESCO and WIPO, cited in Posey 1996: 85). 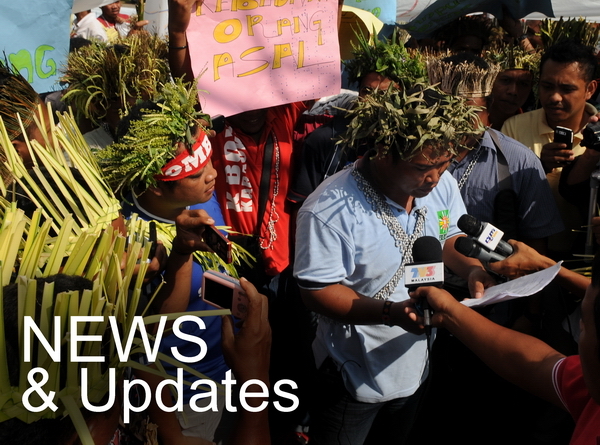 Nevertheless, it is unlikely that the Orang Asli – at least in the immediate future – would resort to reasserting their legal and moral right to their stories, partly because it is not in their worldview to regard such knowledge as property to be owned, and partly because the effort would seem futile since they do not, as yet, control the politico-legal system in the country. Infringements of indigenous intellectual property rights as they pertain to Orang Asli oral traditions do not normally translate into ringgit and sen lost to the community, or gained by others. More significantly, they often affect the very basis of Orang Asli political autonomy and identity – as such acts cause the Orang Asli to lose their cultural and civilizational autonomy, and transform them from being cultural creators to mere passive users, consumers, and alienated reproducers of the external culture (cf. Varese 1988: 65). The case of the legend of Si Tenggang is but one of a trend in the acquisition and reinterpretation (or rather re-clothing) of an oral tradition that once used to favour Orang Asli in its content and implication. Several other instances occur where the re-interpretation of Orang Asli oral tradition by a more culturally dominant polity effectively pushes Orang Asli heritage and identity to the backwaters. For example, today the legend of Hang Tuah is being portrayed as an all-Malay chronicle, despite the main protagonist himself, Hang Tuah, being recorded in earlier history books (e.g. Andaya and Andaya 1982: 70) as being a member of the Orang Laut community then native to Malacca. Similarly, not many people today know that Si Puntum – the person who struck the fatal lance into the British Resident James Birch in 1875 – was the Orang Asli henchman of the Maharaja Lela, Dato Sagor. Furthermore, the many legends associating the Orang Asli with the early Malay sultans (such as the legend of the White Semang in Perak, or of the Johor Sultan’s reliance on Orang Laut, or the mandatory role of the Orang Asli batin or bloodline in Negri Sembilan) are today devoid of Orang Asli mention, or are re-written to reflect a purely non-Orang Asli cast or, even worse, completely disregarded. Given this background, it is imperative that certain measures must be in place if Orang Asli oral traditions and Orang Asli rights and interests are to be protected. At the very least a set of protocols and code of ethics need to be developed and enforced to govern the appropriate handling of Orang Asli cultural material. The heritage of an indigenous peoples also includes objects, knowledge and literary or artistic works which may be created in the future based upon its heritage. However, it would remain the responsibility of the Orang Asli themselves to work towards ensuring that their cultural heritage, their oral traditions included, be recognised, protected and accorded the rightful esteem. In this regard, some resolutions of the 1993 Maatatua Declaration on Cultural and Intellectual Property Rights of Indigenous Peoples may be pertinent to adopt. affecting Orang Asli cultural and intellectual property rights. Finally, the Orang Asli need to develop networks among the various Orang Asli cultural entities and establish a national indigenous information centre to coordinate their efforts in respect of the above. Of course, non-Orang Asli should also encourage, promote and support such efforts. Adibah Amin (1992). The Stony Penitence of Si Tenggang. New Straits Times Annual, pp. 146-9. Andaya, Barbara Watson and Leonard Y. Andaya (1982). A History of Malaysia. Macmillan Education, London. Nicholas, Colin (1997). Stealing Stories: Communication and Indigenous Autonomy. Media Development 3/97, London. Posey, Darrell A. (1996). Traditional Resource Rights: International Instruments for Protection and Compensation for Indigenous Peoples and Local Communities. Gland, Switzerland: IUCN. RTM1, 22 May 1997. Nakhoda Tanggang (drama). UNESCO and WIPO (1985). Model Provisions for National Laws on Protection of Expressions of Folklore against Illicit Exploitation and Other Prejudicial Actions. (UNESCO) United Nations Economic and Social Council, Discrimination Against Indigenous Peoples: Protection of the Heritage of Indigenous People, Final Report E/CN.4/Sub.2/1995/26, 21, June 1995, p 10, paras 11 & 12. Varese, Stefano (1988). Multiethnicity and Hegemonic Construction: Indian Plans and the Future. In: Guidieri, et al (Ed. ), Ethnicities and Nations. Austin: University of Texas Press, pp. 57-77.